Despite social networks’ efforts to prevent the atrocious content from spreading, it continued to pop up here and there online, even days after the rampage. Facebook noted that a live stream launched with the help of a helmet cam by a terrorist who killed 50 and wounded dozens more in an atrocious act in New Zealand on Friday had been viewed fewer than 200 times during the live broadcast. Although Facebook removed the attacker’s video, according to the social media giant, minutes after New Zealand police reached out to them, 29 minutes after the video started, users managed to see it as many as 4,000 times, while it was in place. Separately, despite efforts by Facebook, YouTube, Twitter and Reddit, footage of the gunman's spree circulated online for hours after the shooting, with Facebook saying on Sunday that it had removed or blocked 1.5 million videos of the mosque massacre. "We continue to work around the clock to prevent this content from appearing on our site, using a combination of technology and people", Facebook Vice President and Deputy General Counsel Chris Sonderby wrote in an online post. Meanwhile, the tech giant noted that no Facebook users had reported the horrific video during the live broadcast. 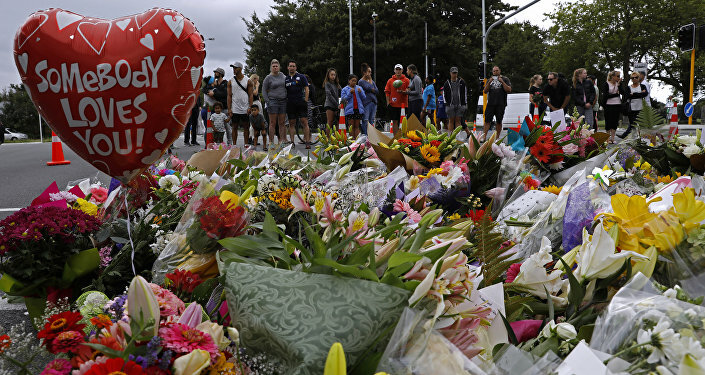 Facebook designated both shootings in the city of Christchurch as terror attacks, with the site's regulations prohibiting any representation of the events, as well as any praise and support. Separately, the named suspect’s personal Instagram and Facebook pages were taken down, and the social media giant is removing any "imposter accounts" that arise, the company ensured. Also, New Zealand Prime Minister Jacinda Ardern stated Tuesday that she had contacted Facebook's Chief Operating Officer Sheryl Sandberg about rising concerns that netizens could still see the spine-chilling footage. "You can't have something so graphic and it not (have an impact)… and that's why it's so important it's removed", the Australian Broadcasting Corporation quoted her as saying. Some local businesses went still further, threatening a boycott of Facebook’s services over the gunman’s presence on the social network and its, as they say, proved inability to prevent horrific acts from happening and being promoted. Businesses are already asking if they wish to be associated with social media platforms unable or unwilling to take responsibility for content on those sites", The Association of New Zealand Advertisers and the Commercial Communications Council said in a statement on Tuesday. "The events in Christchurch raise the question, if the site owners can target consumers with advertising in microseconds, why can’t the same technology be applied to prevent this kind of content being streamed live?" Some, like Lotto NZ, have already taken the lead and pulled adverts from Facebook, while others, such as Burger King, the ASB Bank and telecommunications company Spark are also considering an advertising boycott, the New Zealand Herald reported. A violent shooting in two mosques rocked Christchurch on Friday, leaving 50 dead and dozens injured. New Zealand's Prime Minister Jacinda Ardern called the shooting a terrorist act, saying it was the country's "darkest day". An Australian right-wing extremist, Brenton Tarrant, confessed to the attack and was charged with murder soon after the massacre.